* 8:30 - 10:30 a.m. Expo - you'll be able to market your goods/ services to the attendees of the event from your booth. Yes, you can sell products from the booth. * 10:30 - 11:30 a.m. Panel discussion and Q&A session to educate booth participants and public attendees on how to gain "Access to Capital". Led by the Small Business Development Center, MBAC-Minority Business Assistance Center of Toldeo, and other partners. Booths are just $10.00 and includes the Sunrise Breakfast (normally $7.00 for non-members). DO NOT NEED TO BE A CHAMBER MEMBER TO ATTEND OR SHOWCASE! Must RSVP to reserve Booth space. Small Business/Minority Expo in partnership with the Potts Entrepreneur-Incubator Technology Center of Greater Lima-Northwest. 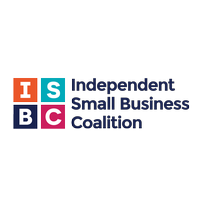 The Small Business-Minority Expo is being held at the Veterans Memorial Civic and Convention Center in concert with the Lima/Allen County Chamber of Commerce Real American Sunrise monthly breakfast meeting (formerly Wake, Rattle & Roll). 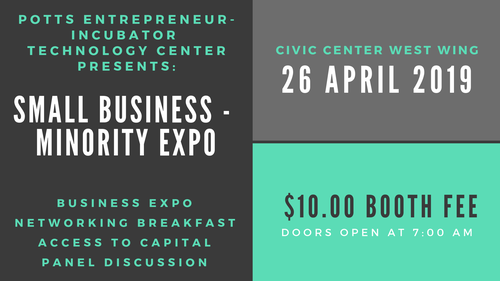 Immediately following the breakfast, attendees will be invited to the Small Business -Minority Expo to visit booths from 8:30a - 10:30 am. Then, at 10:30 am, there will be an hour long panel discussion and Q&A session to educate booth participants and public attendees on how to gain "Access to Capital". Panel presentation by Kathy Keller, Director, Small Business Development Center at Rhodes State College, Aaron Cornell with Columbus ECDI, Mark Uritia with Toledo MBAC, Dave Stratton with AEDG about the Darcy Loan, Julie Jurosic with Anchor Financial For SBA and Community Advantage Loans. This is a GREAT opportunity for you to network and continue showcasing your product and/or service to the public for just $10.00.